Chestnut flour brings a subtle, nutty, sweetness to this cake recipe. It's a sophisticated, light flavor, perfect for dessert or a tea-time snack. This recipe fills a single loaf pan (9" x 5") or four, very cute, mini spring form pans (4" in diameter). Preheat the oven to 350F and grease your pan(s). Sift together the two flours, baking powder, baking soda, and salt. Repeat twice for a total of three ​siftings. I usually ignore sifting instructions (because I'm lazy) but it's important for this recipe for two reasons: 1) The chestnut flour and regular, all-purpose flour must be well integrated, and 2) If you're using homemade chestnut flour you may find some grains are larger than others. The sifter will catch any large grains in your flour blend and give you a chance to regrind them for a smooth flour. In an electric mixer, beat the butter until creamy. Add the sugar and cream it with the butter. Continuing to beat, add the eggs. Next, add 1/3 of the flour mixture and continuing to beat, then add half the buttermilk and half the spicebush dram. Add half of the remaining flour, all of the remaining buttermilk and spicebush dram, then the final amount of flour. Continue to beat throughout to create a smooth batter. Spoon the batter into the greased pans and bake for 35 to 55 minutes. 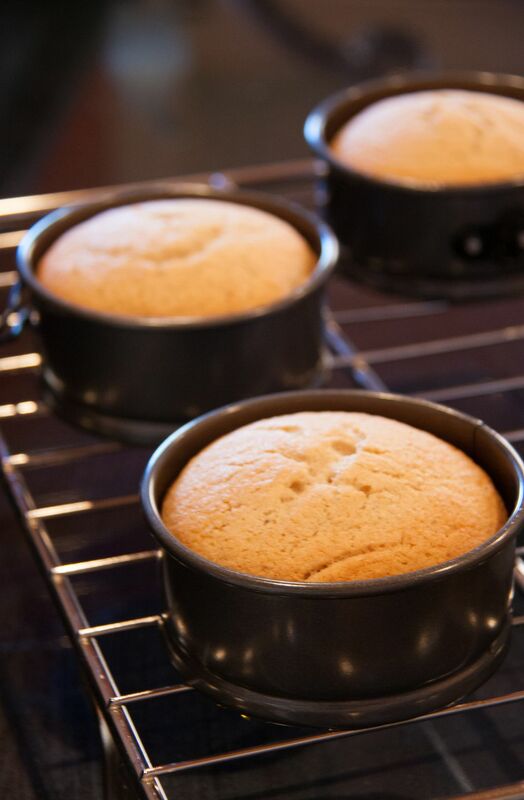 Cakes made in mini spring form pans will be ready sooner than a cake baked in a single loaf pan. The cakes are done when the edges turn golden brown and a toothpick in the center comes out clean. This is a light, not super-sweet cake; it's delicious with coffee or tea. If you'd like to take the sweetness up a notch, add a drizzle of homemade jam or jelly. But try it unadorned first, to appreciate the unique flavor of that chestnut flour.